There is a section of the VWBPE conference that is happening on OpenSim on Thursday, March 19. Why? 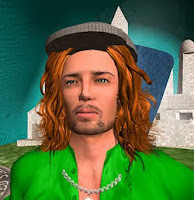 because educators understand the advantages of the OpenSim Metaverse. You can even hypergrid in to the conference on the 19th if you want to. Last edited by Serene Jewell on Sat Mar 14, 2015 7:20 pm, edited 1 time in total. We will also be presenting examples of our storytelling. And of course we will be talking about our home in Kitely. We'd LOVE it if you can attend. We were over there this morning testing things out, and HG works great directly from Kitely! There is a hypergate at Seanchai Library if you wish to use it. Worth noting that they are using TeamSpeak for voice on the Avacon grid (see VWBPE site). Also, times are not great for Europeans.